Well, it is that time again. In many North American congregations, autumn is a time of planning for the coming year. Like squirrels scurrying to gather acorns, budgets are being prepared, congregational meetings are being set, and pledge cards and time and talent forms are being photocopied ad nauseam for distribution to church members. Sadly, many of these cards and forms will not be completed and will not be returned. Stewardship, in many congregations, has become an ugly word, a word bantered about only at budget planning time and in times of financial need. And so many Christians equate good stewardship with good finances. St. Paul has a different understanding of stewardship. The Greek word oikonomia refers to the responsibilities of managing a household. Stewardship is not something to be talked about only a few times a year. Nor is it simply a matter of dollars and cents or checking boxes on a form. 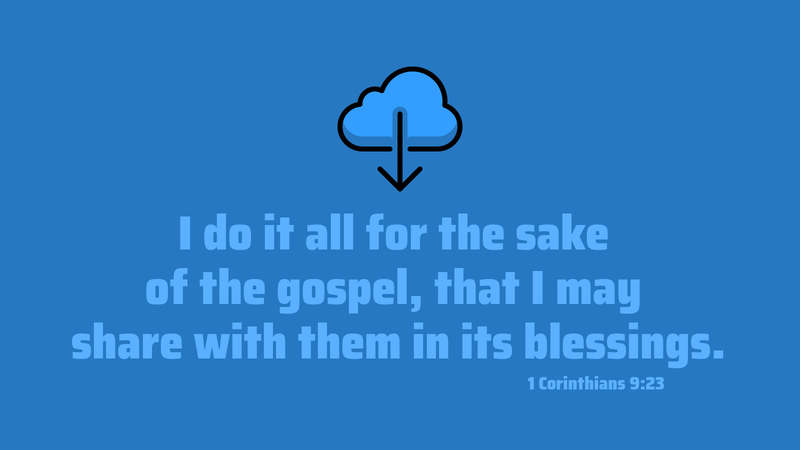 Stewardship, in God’s divine economy, is the trust he places upon every believer to live the gospel of Christ. Good stewardship, then, encompasses our whole life — every second, every gift, every penny — all the resources entrusted to us to be used to the glory of God. Prayer: Loving Father, teach us to be wise, generous, and good stewards of your household in every way and every day. Amen. True words spoken Pastor. Our stewardship goes beyond what goes into the envelopes. Stewardship means we are to give of our time, talents, ourselves. The apostles gave of themselves, fishermen became fishers of men. Tax collectors, religious zealots, and even Paul gave up a commission to harass and kill these who would call themselves Christians. It is said that 20% of the congregation give 80% of their tithes, offerings, and time. Where do we sit?